We are starting a new segment called Artist of the Month! Each month we will highlight a different artist so that you can get to know some of the photographers, makeup artists and stylists that we work with. For the month of March, our Artist of the Month is...Darcie Teasley! Makeup Artist, Darcie Teasley, is signed with Page 713 Model &Talent Agency. She has been a professional Makeup Artist for over 10 years. Specializing in Fashion, Bridal, Special Effects, Airbrush Tanning and more, she is a well rounded artist with experience and education from industry professionals. 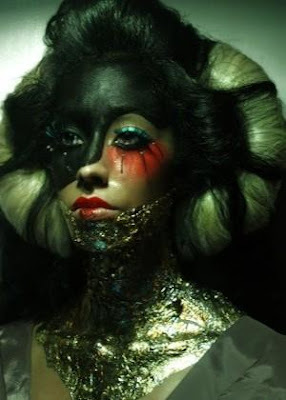 Having painted on canvases first, she considers Make Up, 'wearable art'. She also has experience in Film/Television, having worked on many local commercials, short films and Television shows. The image below is just one example of some of her work. For a full portfolio of her work, click on the link below.